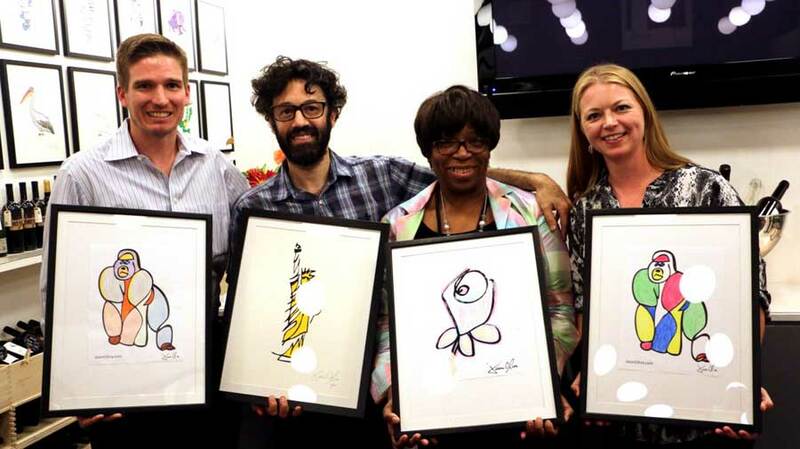 Charity ‘Coloring Event’ at New York Vintners. 1st, 2nd & 3rd prize winners. September 2015. 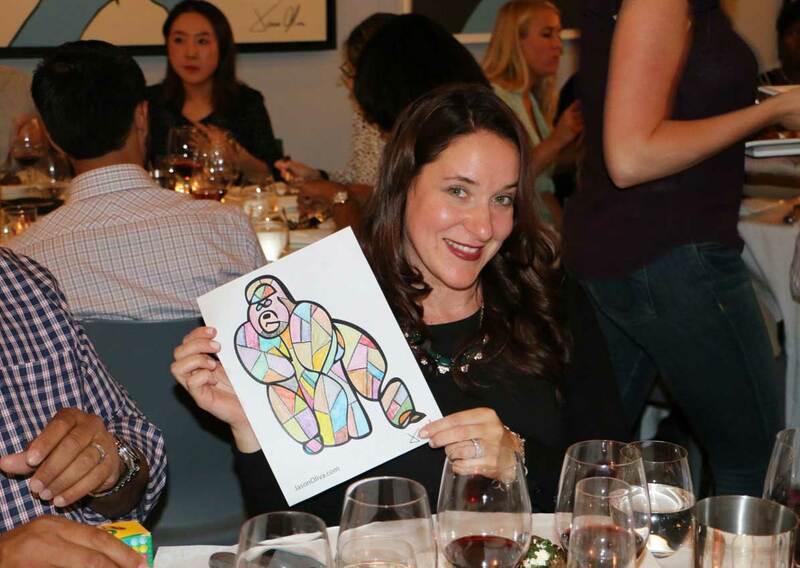 Back in September we held our first ‘Coloring Event’ as part of an evening charity dinner being held at New York Vintners. It was a really fun night and all of the 45 people there entered into things with what can only be described as great gusto and a more than healthy competitive spirit! Thanks to our friends Mike and Sein and everyone who attended. Some serious coloring in going on at the charity event. What is a Coloring Event? 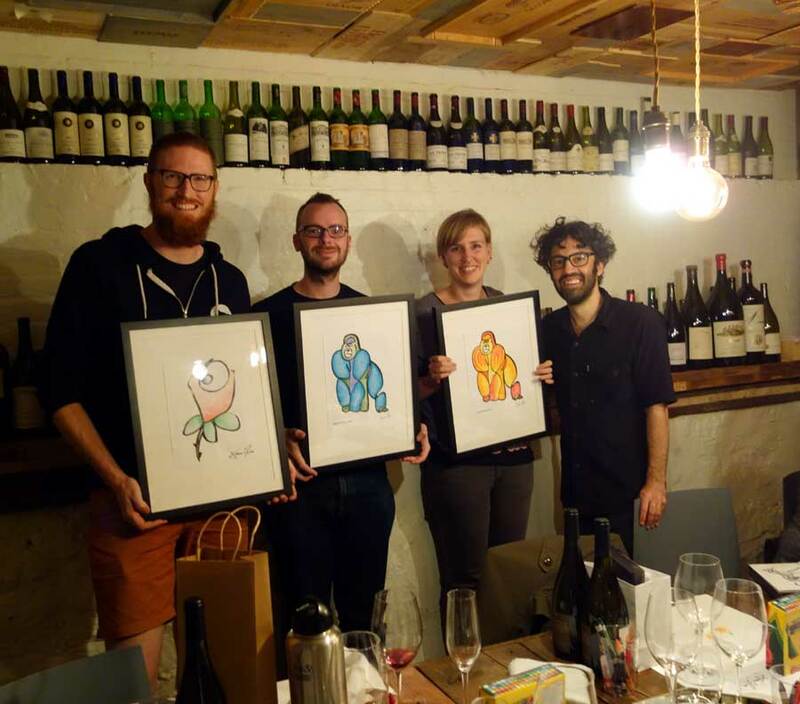 In a nutshell, a group of people get together, eat great food, drink great wine and while doing so, they color in paper copies of some of my painting images, such as Rose, Lion and Gorilla. The copies are plentiful so you can color in as many as you like. When you have finished each one, you write your name on the back and place it in the provided ‘Coloring Entries’ folder. Towards the end of the event, I disappear into my studio where I select the winners. There is a 1st, 2nd and 3rd prize plus further prizes for ‘honorary mentions’. The person whose entry comes 1st receives an original Jason Oliva hand painted, hand signed, small work on paper. Those entrants who came 1st, 2nd and 3rd are also presented with their winning entry in a small work on paper frame. Etsy engineers putting crayon to paper. October 2015. 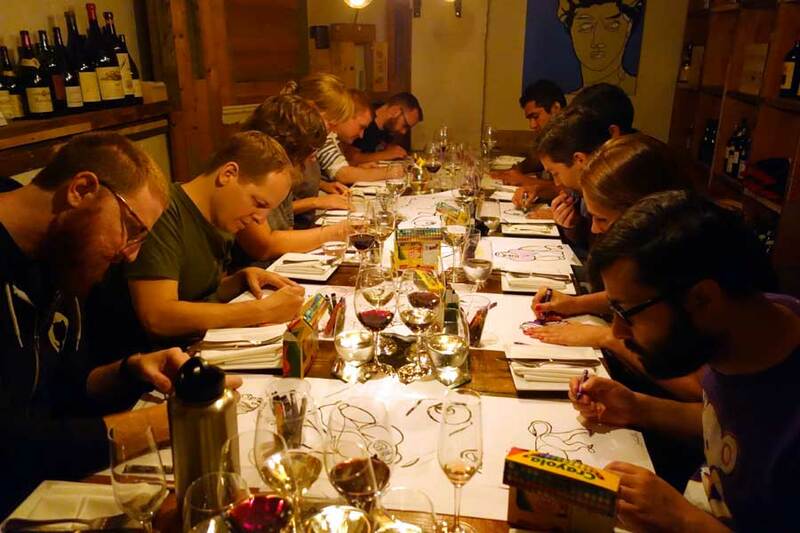 A few weeks after the charity dinner, Sophie and I held another coloring event for 11 engineers from Etsy for an afternoon of team-building. 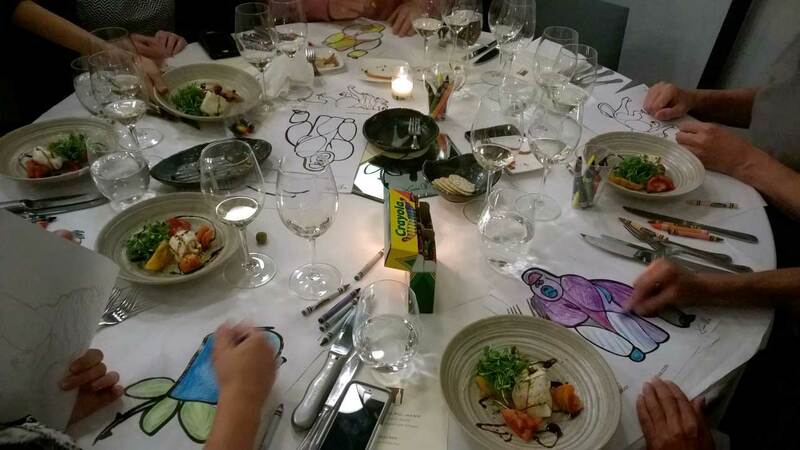 This time the event was held at lunchtime and was a mixture of food, wine pairing, discussions about creativity and problem solving and, of course, coloring in. As soon as we’d finished explaining to them how the coloring competition was going to work, they immediately picked up the crayons and pretty much colored in for the entire time they were there! Again, a load of fun. Thanks guys. Etsy 1st, 2nd and 3rd prize winners with Jason. Table set up with coloring pages and crayons before Etsy event. We had a feeling that coloring events for adults would be a hit but even we were surprised at how much people entered into the spirit of things. If you think you would like to do something similar (and, quite frankly, different!) 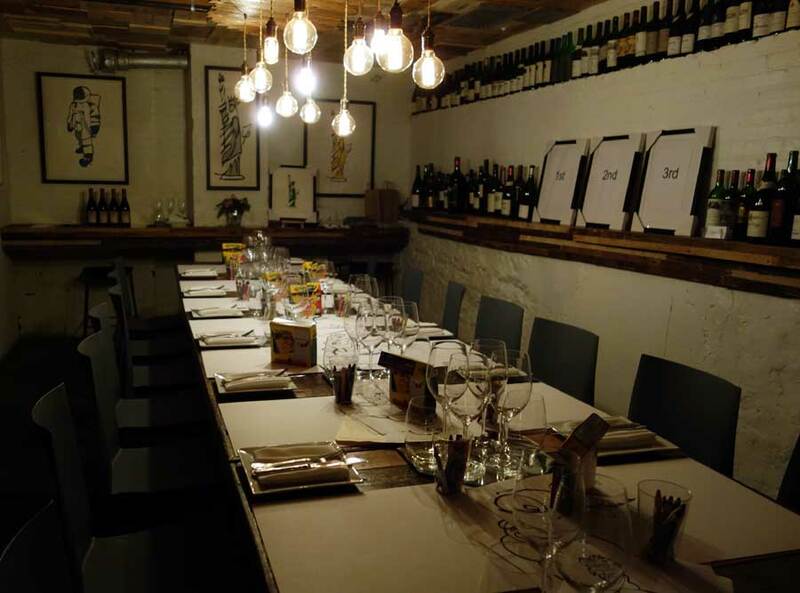 whether as a creative team-building event, a charity event, a celebratory event – the list is endless – please get in touch. A coloring event can be tailored to your needs and really can be whatever you want it to be. Feel free to email me at jasonoliva@gmail.com and find out more. Thanks! 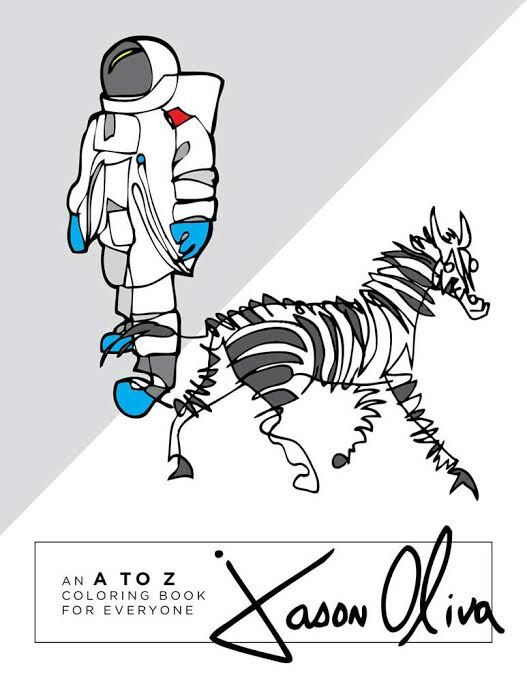 As written about in the last post, we have also published the first Jason Oliva Coloring Book, titled ‘An A to Z Coloring Book For Everyone’. This is a first run limited edition of 500. Each copy will be hand signed by me! You can purchase this book either from Etsy or Amazon. Sparkly vibes at the Jason Oliva studio. NYC. December already seems to be in full swing. Its our last Christmas at the Tribeca studio so come on down and see us. There will be art, music, conversation and, you guessed it, wine! All are welcome.